One of the biggest challenges for investors is deciding if bond funds are even necessary in an environment of rising rates. If we’re talking about Vanguard funds, there are many Vanguard bonds funds to buy now, but a few that should be sidestepped. 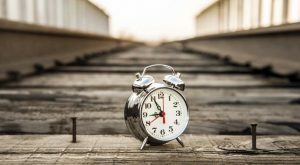 Although financial media have been warning about the effects of higher interest rates on investments for years, with only minor, short-term price declines in the aggregate for bonds, the time for making moves in the fixed-income portion of your portfolio is fast approaching. With unemployment rates falling, corporate profits rising and new records on major stock market indices coming almost daily, the Federal Reserve increasingly has more reason to tighten policy. 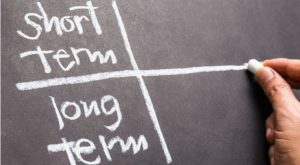 Many investors know that higher interest rates generally mean lower bond prices, but it’s not common knowledge which bond funds are best for rising interest rates and which bond funds are worst. With this in mind, here are the four best Vanguard bond funds to buy for higher rates and three to avoid. Broadly diversified, actively-managed bond funds are smart choices when interest rates are rising and this makes Vanguard Core Bond Fund (MUTF:VCORX) one of the best Vanguard bond funds to buy now. The fact that VCORX is one of the newest funds in Vanguard’s lineup (inception was March 28, 2016), suggests that Vanguard knows that the smart money tends to shift assets away from passive to active funds when rates are rising. One move an active manager can do that index fund managers can’t in the fixed income universe is to sell off bonds that are more interest rate-sensitive, such as those with longer durations, in the face of rising rates. Now can be a good time to buy TIPS, which makes Vanguard Inflation-Protected Securities (MUTF:VIPSX) one of the best bond funds to buy now. 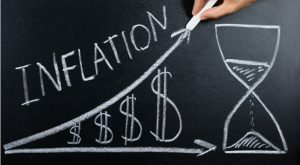 The best time to buy TIPS is generally when inflation is tame but expected to pick up during the holding period. Expectations for inflation over the next decade are between 2% and 2.5%; however the average rate is around 3%. Therefore, now is potentially a good time to buy into TIPS. Looking beyond inflation expectations, many investment advisers recommend that TIPS bond funds like VIPSX remain a permanent part of a long-term portfolio. Investors that prefer passive management over active management are smart to look at funds like Vanguard Intermediate-Term Bond Index (MUTF:VBIIX). Long-term bond funds are more interest rate-sensitive than intermediate-term bond funds but short-term bond funds have lower yields. Because of this, the sweet spot for many investors with holding periods of more than a few years is intermediate-term bond funds. And if you want passive management, VBIIX is arguably the best bond fund for you. 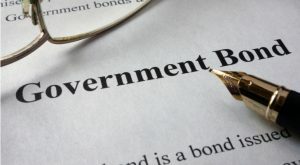 VBIIX has a good balance of about 50% government securities and 50% corporate bonds. Investors looking to hedge away interest rate risk coming from higher rates in the U.S. can diversify into bonds outside the U.S. and hold funds like Vanguard Emerging Markets Government Bond Index (MUTF:VGOVX). Put simply, interest rates around the world don’t move in lock step with each other. So if interest rates are going up in the U.S. (and bond prices are going down), they are not always doing the same in other countries. For current example, the Barclays U.S. Aggregate Bond Index is up about 3% year-to-date, whereas VGOVX is up about 6.5%. That’s low correlation in the short term. With that said, emerging markets still have interest rate risk but also the political risk inherent with emerging markets. Generally, the longer the duration of the bond, the greater the interest rate risk. This makes Vanguard Long-Term Bond Index (MUTF:VBLTX) one of the Vanguard bond funds to avoid when interest rates are expected to rise. Not only are long-term bonds more sensitive to interest rates, the passive nature of VBLTX can also be a negative when rates are rising because the fund manager is powerless to make adjustments to decrease the average duration of the holdings. So, if there is a sharp increase in interest rates, there will be a sharp decrease in long-term bond prices, and the long-term bond index investor is forced to passively step off the proverbial cliff along with those falling prices. Fans of Vanguard funds may consider it a sin to hold bond funds other than Vanguard Total Bond Market Index (MUTF:VBMFX), but the onset of rising interest rates is a time to consider alternatives. While VBMFX, the largest bond fund in the world, is not the worst bond fund to hold when interest rates are rising, it’s far from the best. What’s good about VBMFX is that the fund is diversified across all maturities, from short- to intermediate- to long-term bonds. However, 70% of the holdings are government securities, which tend to get hit harder than corporate issues when interest rates are rising. For example, year-to-date, VBMFX does have a decent gain of 3.1%; however VBIIX, a comparable Vanguard index bond fund that holds less government bonds than VBMFX, is up 4% YTD. That trend of underperformance is likely to continue for VBMFX as long as interest rates are rising. 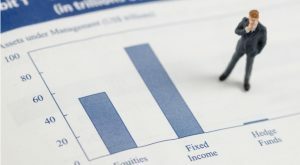 Bond funds that focus on long-term bonds and U.S. Treasury bonds will generally lose to most other bond funds types when interest rates are rising and this makes Vanguard Long-Term Treasury (MUTF:VUSTX) a mutual fund to avoid now. 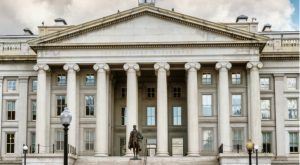 As this story has pointed out, two of the most interest rate-sensitive types of bonds are long-term bonds and U.S. Treasury bonds. VUSTX holds long-term treasuries, which can potentially make it one of the biggest losers in rising interest rate environments. While a fund like VUSTX has seen short-term spikes over the past year, the total 1-year return is -6%, which compares to 0.3% for the Barclays Aggregate Bond Index. As of this writing, Kent Thune did not personally hold a position in any of the aforementioned securities, although some of his client accounts hold VIPSX and VBMFX. Under no circumstances does this information represent a recommendation to buy or sell securities. Article printed from InvestorPlace Media, https://investorplace.com/2017/08/4-vanguard-bond-funds-to-buy-for-higher-interest-rates/.